Hope this link works. This is just as the sun peeked out of the clouds, so different color. Very pretty! Lovin that Mesa tile too! Thank you! It’s exposed aggregate. A little too exposed I think. It hurts to walk on a lot, but it keeps the kids from running lol. Btw @sparker - love your gold pebble but also love your deck! What is your deck composed of? Trying to decide between LathamÂ’s Grey Mosaic, Gold Pebble, or Butterfly Effect Pearl.... having a hard time finding pics of the butterfly effect. Looking for a dark teal water color, but not so dark you canÂ’t see the bottom. Also we will have a screen enclosure so that may make it appear darker. Our PB posted a pic of the butterfly on their fb page. Cool Water Pools, Inc and scroll down to May 2nd. It's pretty! I posted my Gold Pebble above. It looks very similar to the Grey bottom pools, imo. In our yard, the gray in the pebble comes out WAY more than the tan, so it appears darker. We are getting the butterfly effect in our L-Shape so I will post the pictures up when it gets installed, hopefully in the next two weeks. I also plan on posting a proper build picture thread soon. 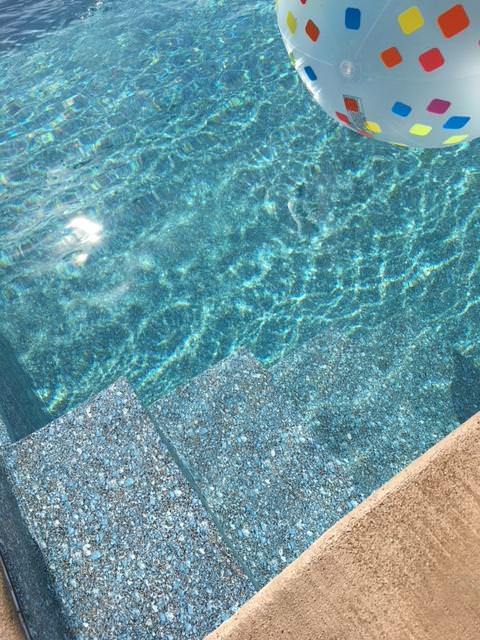 I don't know if this helps, but our pool water appears darker when the sun is shining on it. Kind of like a mirror. It gets full sun all day b/c the backyard faces East. In the evening, when the sun is on the other side of the house, the water is lighter and easier to see through. Wow! I'm impressed how dark Marble Inlay/Crystal floor looks - looks great! From the brochure and other online pics, I thought it would be much lighter. How deep is your pool? need to make a decision in the next couple days !! UPDATED 12/23/16. 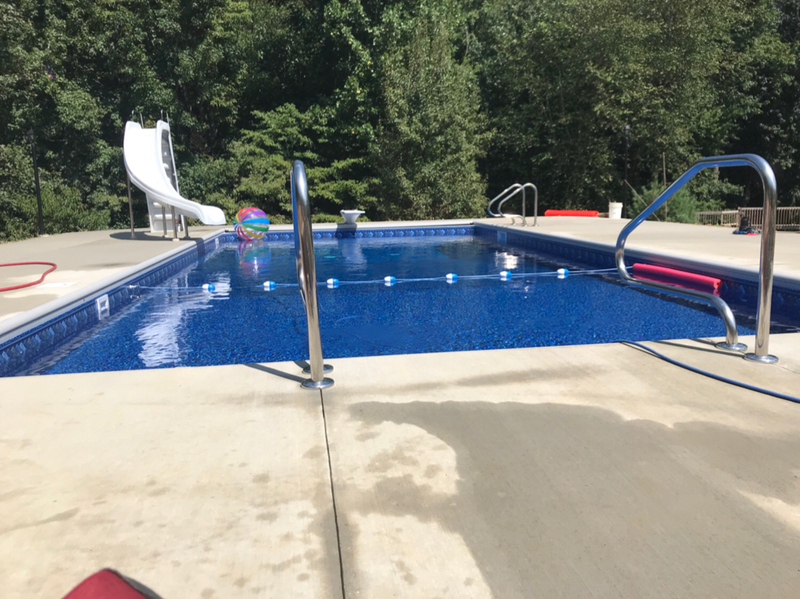 Pool is complete and we LOVE it. Here are a few pics of the liner (Capri Fresco II ) in different lighting. It's gorgeous we are happy with our selection! Anyone have NPT Stonescapes Aztec Cobalt / Aqua Blue liner? Or NPT Jewelscapes Verona / Yacht Club Blue liner? Any pics? NPT is through Latham/Premier. 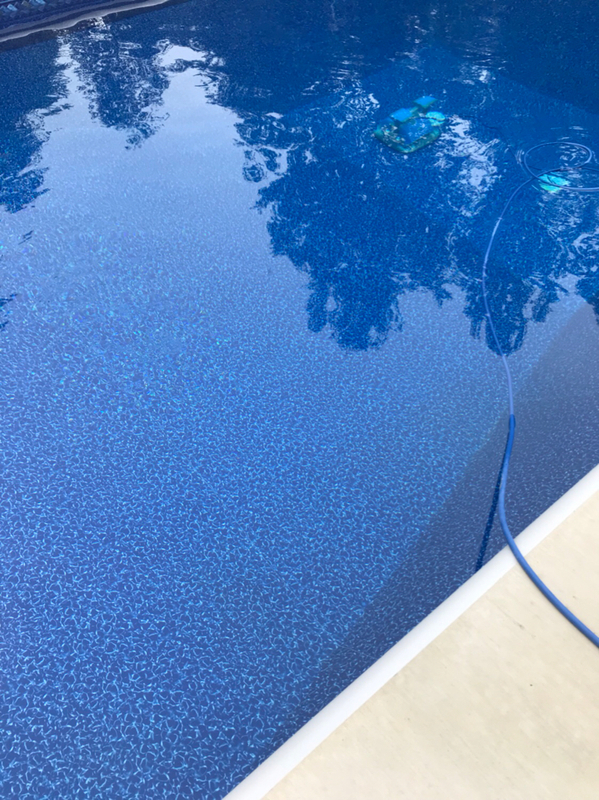 The colors look amazing, but I really would like to see them in someone's actual pool, or tell me how aqua/blue they are. 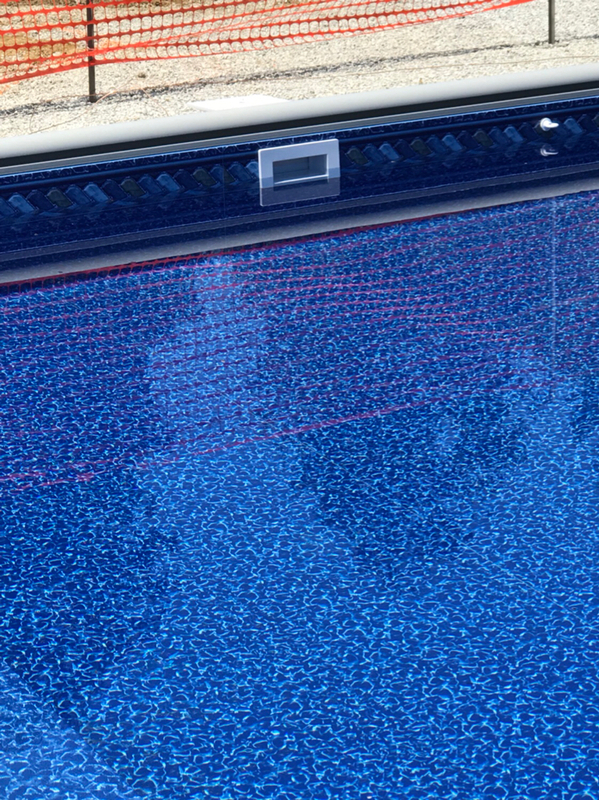 The thing with NPT is that they do a lot of tiling for pools, so I'm having a hard time finding pics of the liners. Putting in 20x40 Left Lagoon, shallow end 4 ft, deep end 6 feet (hit water just past 6.5 feet and don't want to stress about issues later). 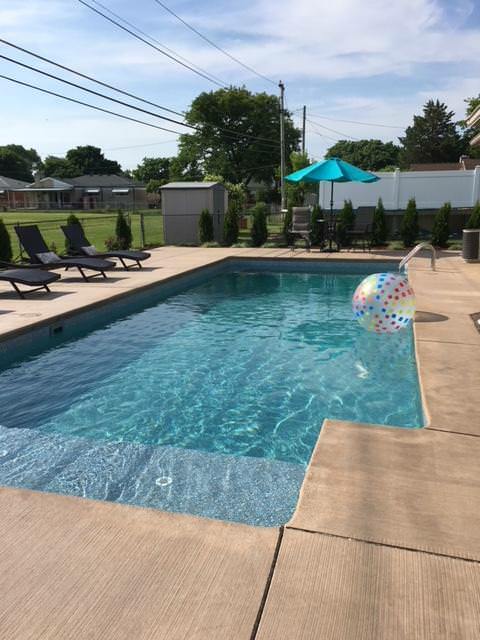 The pool will be in full sun all day (morning til night). Was going to do "normal" blue, like the Prism, or maybe even a tan liner (Gold Pebble or Natural Grey---too worried how dark it will look when it's overcast or after the sun goes down). Reef looks AMAZING, and I was thinking the Aqua Blue liner matched most of the colors, but the pictures in the brochure just don't see accurate. 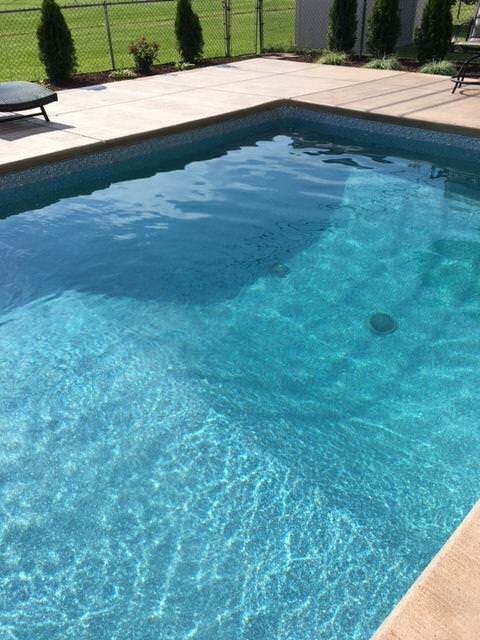 How deep is your pool (both the shallow and deep ends). I LOVE the color, but worried since mine only goes down to 6 feet that the color will not be as rich. We had our Reef liner/no border installed two days ago......we couldn't love it more. It was the exact color we were hoping for. Like many of you, we wanted the slightly aqua/turquoise color and went back and forth between gray, tans and this liner. I ultimately chose Reef and am so glad I did. Everyone who has seen it loves it and comments on it. I hope these pics help make someone else's decision easier . I decided to go with the Latham Capri Fresco II, so here is my contribution for pictures. I highly recommend getting LED lights also. Hello out there! Any pics of Merlin liners, Holden beach or Castaway Cay? I can’t make up my mind! Thanks! We just installed a Castaway Cay right before Hurricane Florence, just got her all clear and balanced finally as it was a mess. We both really like it and happy to not have a border, I’ll try and snap a couple pics and post tomorrow for you. Here are a few pics from this morning.